Norman Macdonnell was born in Pasadena. He was a radio and TV producer best known for co-creating (along with John Meston) and producing the Western CBS radio and television series, Gunsmoke. Other OTR programs for which he was a producer, director, or both included The Adventures of Philip Marlowe, Escape, Fort Laramie, Have Gun Will Travel, The Harold Peary Show, and Suspense. 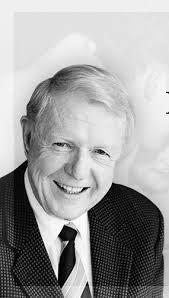 He also was executive producer of the NBC-TV Western The Virginian. He died Nov. 28, 1979 at age 63. 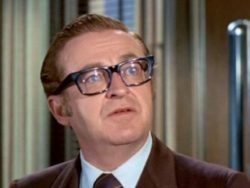 On this day in 1924, actor Joe Flynn was born in Youngstown Ohio. He was featured in TV’s The Tim Conway Show, McHale’s Navy, The Joey Bishop Show, The George Gobel Show, The Bob Newhart Show, & The Adventures of Ozzie & Harriet. He died in a drowning accident in the pool at his home July 19, 1974 at the young age of 49.
whose real name was Clara Ann Fowler, was born in Claremore, Oklahoma. She took her stage name from the Page Milk Company, a sponsor of one of her early radio programs. 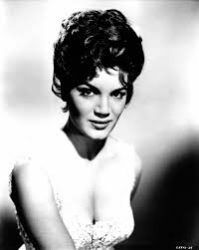 Page sold more records than any other female vocalist in the 1950’s. Among her hits was “The Tennessee Waltz,” which topped the chart for 13 weeks in 1950. It is one of the biggest hits of all time, with more than six-million copies sold. Her other number-one records included “All My Love,” “I Went to Your Wedding” and “The Doggie in the Window.” Patti’s recordings were among the first to use the device of multi-tracking, in which she appeared to be singing duets with herself. She died Jan. 1 2013 at age 85, after a long battle with heart and lung disease. In 1931, the longest serving correspondent on CBS-TV’s 60 Minutes, Morley Safer was born in Toronto. After reporting initially for the CBC Safer joined CBS and established himself as a battle-tested, whistle-blowing war correspondent during the Vietnam War. He joined 60 Minutes in 1970 and stayed with it for more than four decades as it evolved into the most watched newsmagazine and the most profitable program in television history. During his 60-year career Safer received numerous awards, including twelve Emmys. He died from pneumonia at age 84 May 19 2016, just a week after announcing his retirement from 60 Minutes. was born in Czechoslovakia. After a teaching and performing career in his native country, Kubalek moved to Canada in 1968. He has since given frequent solo recitals and has often appeared on the CBC. Kubalek is noted for his interest in 20th century Czech and Canadian music. In 1939, this day marked Frank Sinatra‘s last recording session with the Harry James Band. Sides recorded were Every Day of My Life and Ciribiribin. In 1941, Glenn Miller and his Orchestra recorded Jerry Gray’s great instrumental “A String of Pearls” which topped the Best Sellers chart for two weeks. 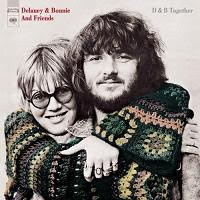 of the husband and wife rock duo of Delaney and Bonnie, was born in Acton, Illinois. The couple met and married in Los Angeles in 1967. Their albums, which fused rock, country and soul music, were largely ignored until guitarist Eric Clapton began touring with them. In 1969, Clapton took them to Britain, where George Harrison, Dave Mason and others made guest appearances at their shows. The visit resulted in the duo’s best selling album, “On Tour (with Eric Clapton).” Delaney and Bonnie’s biggest hit single was 1971’s “Never Ending Song of Love.” Their marriage, and musical partnership, fell apart a year later. In 1953, Buddy Holly and Bob Montgomery (billed as “Buddy & Bob”) appeared on radio station KDAV in their hometown of Lubbock, Texas, in the first of a series of Sunday country music shows. In 1956, at the Bradley Studio in Nashville, Patsy Cline recorded her first hit, the memorable “Walkin’ After Midnight” for Decca Records. 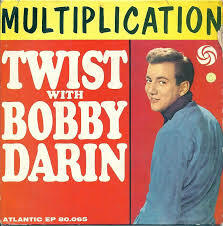 In 1961, Bobby Darin took a break from a week of recording an album of Ray Charles material to wax a single “Multiplication” for the Atco label. In 1962, a bullet was fired at Motown‘s tour bus while traveling through Savannah, Georgia. None of the (all African-American) performers were hurt. In 1964, Vancouver’s CBU FM 105.7 began daily regular programming separate from CBU AM. Its programming consisted of mainly recorded classical music and BBC programs. Also in 1964, Judy Garland and her daughter, Liza Minnelli, appeared together at the London Palladium. The performance was taped for U.S. TV; and the LP, Live at the London Palladium became a classic on Capitol Records. In 1965, the famously oft-repeated TV introduction was heard for the first time. “Like sands through the hourglass, these are the days of our lives…” The voice of McDonald Carey introduced the popular soap opera, Days of Our Lives, which debuted on NBC-TV this day. It is still on the air today, 47 years later. 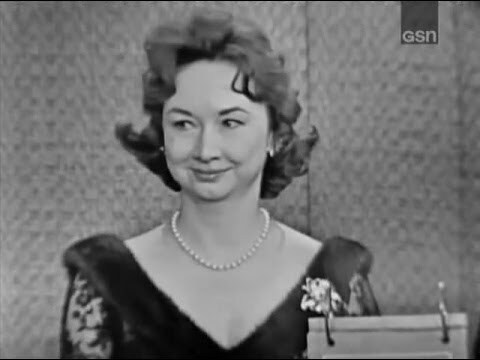 Also in 1965, newspaper columnist/panelist on CBS TV’s “What’s My Line,”Dorothy Kilgallen died of a lethal combination of alcohol & barbiturates at age 52. She was found dead sitting up in bed. Still in 1965, The Beatles worked on a new George Harrison song ‘Think For Yourself’ at Abbey Road for their forthcoming Rubber Soul album. After rehearsing the song, they recorded the basic instrumental track in one take. In 1968, John Lennon and his first wife, Cynthia, were divorced. was named to replace Diana Ross in the Supremes. Ross had left for a solo career. In 1971, Kelowna (BC) radio station CKIQ 1150 first signed on. The station was owned and operated by Bob Hall and Walter Gray, operators of existing stations in Salmon Arm, Revelstoke & Golden. Also in 1971, Paul McCartney threw a party in London to officially introduce his new group, Wings. Still in 1971, Led Zeppelin‘s untitled fourth album, which came to be known as “Led Zeppelin IV,” was released. It contained the soon-to-be rock anthem “Stairway to Heaven,” sold more than 16 million copies in the U-S alone and spent nearly five years on the Billboard chart. was raped in her motel room following an appearance at the Westbury Theatre in a New York City suburb. She later sued the motel for negligence and was awarded more than three million dollars in damages. As a result of the traumatizing assault Francis stopped performing for several years and underwent psychiatric treatment. died in Memphis of cancer at age 60. 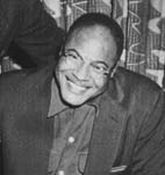 His 1950 recording of “I Almost Lost My Mind” topped the rhythm-and-blues chart and sold a million copies. Pat Boone covered the song for the pop market. 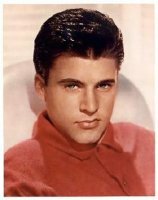 Other top hits for Hunter included “I Need You So” and “Since I Met You Baby,” which made the Billboard pop chart in 1956. 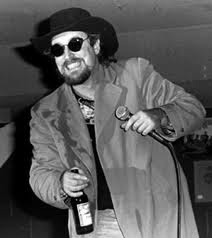 In the years before his death, Hunter was trying a comeback as a country performer. In 1975, David Bowie sang “Fame” as he made his North American TV debut on Cher’s CBS show. 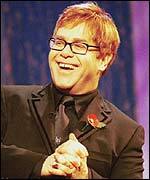 Also in 1975, Elton John was named Godfather to John and Yoko Lennon’s son Sean. 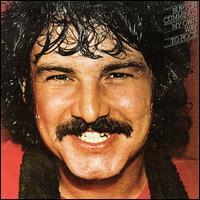 former lead singer of the Guess Who, began his solo career with a concert at the Manitoba Centennial Concert Hall in Winnipeg, his birthplace. The original Guess Who had broken up the previous year, although several reconstituted versions of the group would surface later. The original group reunited for an appearance at the closing ceremonies of the 1999 Pan American Games in Winnipeg, then followed it up with several highly-successful national tours. 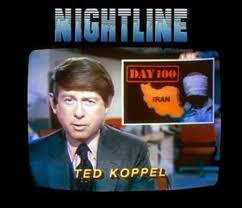 evolved into “Nightline” in March of 1980. In 1980, Bruce Springsteen‘s album, The River, hit #1 on US charts for four weeks. Also in 1980, Craig Marsh and Martyn Ware split from the British electro-pop band the Human League to form Heaven 17. In 1988, Jerry Lee Lewis petitioned for bankruptcy after declaring debts of more than three-million dollars. Among the creditors was the U-S Internal Revenue Service, which was owed two-million. In 1991, Vancouver-resident Bryan Adams was notified his single “Can’t Stop This Thing We Started” had been certified as a Gold Record. In 1994, former pop star Sonny Bono of “Sonny & Cher,” running as a Republican, was elected to the U.S. House of Representatives — representing the Palm Springs area of California. the lead singer of the Beat Farmers, collapsed and died of a heart attack during a concert in Whistler, B-C. Montana, whose real name was Daniel Monty McLain, was 40. The San Diego-based band had been together for a dozen years, releasing six albums of their blend of rock, country and blues. Also on this date in 1995, rap star Tupac Shakur‘s record company agreed to pay 3-to-500-thousand dollars to the parents of a six-year-old boy. They had filed a wrongful death suit against Shakur after the boy was killed by a stray bullet that allegedly came from Shakur’s gun. The boy was shot at an outdoor festival in the San Francisco area in 1992. No criminal charges were filed. On September 7, 1996, Shakur was shot four times in a drive-by shooting in Las Vegas, Nevada, and died six days later of respiratory failure and cardiac arrest at the University Medical Center. Still on this date in 1995, Paul McCartney became the first rock star to be honoured with a Fellowship of the Royal College of Music. He was cited for his “distinguished services to music,” and was presented with the award by the college president, Prince Charles. 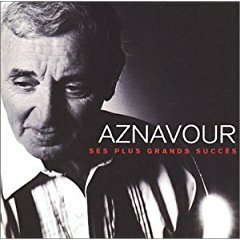 was booed and heckled at a Montreal concert when he sang some of his songs in English. He received a similar reception at an Ottawa show three days later. Prime Minister Jean Chretien went backstage to “apologize on behalf of the Canadian people,” as the concert promoter put it. Also on this date in 1996, Oasis was named the Best Act in the World at the Q Awards in London. Vocalist Liam Gallagher celebrated in fine fashion; he got into a scuffle with a news photographer, argued publicly with his girlfriend, then was arrested on suspicion of possessing cocaine. Still in 1996, Bruce Springsteen played his first concert in his hometown of Freehold, New Jersey, in 29 years. It was a solo benefit performance at his old parochial school. Springsteen stipulated that only local residents could buy tickets. In 1997, thousands of fans jammed into a Calgary shopping mall in the hopes of getting an autograph from country star Shania Twain. Those who were first in line had arrived at 2:30 a-m, more than four hours before the mall opened. Also in 1997, in Nashville Johnny Paycheck officially became a member of the Grand Ole Opry. He was the 72nd entertainer to join the cast of the venerable & revered country music radio show. retired from daily broadcasting, doing his last weekday morning show on CISL 650.
a founding member of the Canadian folk music group The Travellers, died of cancer at age 73 at his home in Chilliwack. Goodis was perhaps best known for co-authoring the Canadian version of “This Land is Your Land” in 1955. On this day in 2006, the Whisky-A-Go-Go, the legendary L.A. club that was the launching pad for The Doors, was designated a landmark by the Rock and Roll Hall of Fame and Museum. It marked the kickoff of a yearlong celebration of the band’s 40th anniversary. 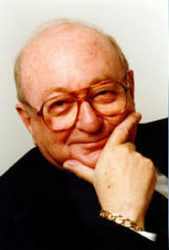 On this day in 2007, Toronto pianist John Arpin who was musical director for contralto Maureen Forrester and sometimes Tommy Hunter, who was a featured instrumentalist for CanCon radio’s Canadian Talent Library, died at age 70. Also in 2007, four men were arrested on suspicion of perverting the course of justice after police raided a house in Camden, London belonging to singer Amy Winehouse. The arrests were in connection of a court case involving Ms Winehouse’s husband Blake Fielder-Civil, who faced charges of causing grievous bodily harm. 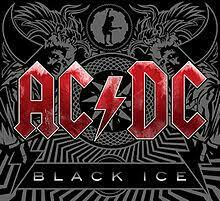 On this day in 2008, AC/DC started a two-week run at No.1 on the US album chart with ‘Black Ice’, the band`s 15th studio album and the second-best selling album of 2008. On this day in 2010, after 10 months on the sidelines following his NBC ‘Tonight Show’ debacle, Conan O’Brien returned to the late night TV comedy wars with his new show on TBS and CTV. Jack White was the opening night guest. 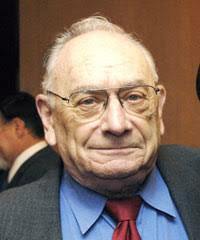 Also in 2011, longtime analyst and political director for the ABC-TV network, Hal Bruno died of injuries suffered in a fall at his Maryland home, at age 83. On this day in 2012, CBC Radio named Rush’s Alex Lifeson as the Greatest Canadian Guitarist. A panel of CBC producers and hosts compiled the list which had the late Jeff Healey at #2, followed by The Band’s Robbie Robertson. Neil Young was 5th. Also in 2012, Bruce Springsteen & The E Street Band‘s Wrecking Ball tour earned the Top Draw honor, and Roger Waters‘ The Wall Live tour nailed the Top Tour award at the Billboard Touring Awards in NYC. The Top Draw award goes to the tour that sold the most tickets while the Top Tour category acknowledges the highest-grossing tour of the year. On this day in 2013, Green Day took the Best Rock Band honours at the MTV Europe Music Awards in Amsterdam. On this day in 2014, National Geographic announced that a species of frog that sounds like a bat had been named after Ozzy Osbourne. The frog, who lives in the Brazilian Amazon, was named Dendropsophus ozzyi by the scientists who discovered it. On this day in 2015, Stone Temple Pilots announced that vocalist Chester Bennington had left amicably. Bennington, who was also in Linkin Park, said the time commitments didn’t leave room for a personal life. “I got to create and perform with one of the greatest Rock bands of our generation, that had so much influence on me growing up,” stated Bennington. On this day in 2016, radio & TV spread the news that Donald J. Trump had been elected President of the United States. Actor/producer Norman Lloyd (St. Elsewhere, Seven Days) is 104. Vancouver-born CTV journalist Craig Oliver is 80. Singer Bonnie Bramlett is 74. Singer Bonnie Raitt is 69. Retired “Entertainment Tonight” host Mary Hart is 68. Boston Red Sox announcer/former 2nd baseman Jerry Remy is 66. Actress Alfre Woodard (True Blood, Memphis Beat, Desp. Housewives, St. Elsewhere) is 66. Actor Sal Lopez (Chance, Dolly) is 64. Singer-songwriter Rickie Lee Jones is 64. Actress Randi Brooks (The Last Precinct) is 62. Actor Phil Fondacar0 (Sabrina the Teenaged Witch) is 60. Actor Aden Gillett (The House of Eliott) is 60. Actor Don McManus (Justified, Tilt, Murder One, Northern Exposure) is 59. Actress Megan Cavanagh (Adventures of Jimmy Neutron: Boy Genius, Exes and Ohs) is 58. Actor Michael Nyqvist (Zero Hour) is 58. Actress Karin Argoud (Mama’s Family) is 58. Singer-actor Leif Garrett (Three for the Road) is 57. TV chef Gordon Ramsey (Hell’s Kitchen, MasterChef, Kitchen Nightmares) is 52. Actor Bradley Gregg (The Marshall Chronicles) is 52. Actress Courtney Thorne-Smith (Two-&-a-Half Men, According to Jim, Ally McBeal, Melrose Place) is 51. Actor Kamar de los Reyes (One Life to Live) is 51. Actress Parker Posey (Lost in Space 2018, Skylanders Academy, Granite Flats, As the World Turns) is 50. Actor Bruno Gunn (Guiding Light) is 50. Actress Roxana Zal (Jane Doe:The Wrong Face, Watch Over Me) is 49. Singer Diana King is 48. Actor John Livingston (Love & Money) is 48. Actor Gonzalo Menendez (Hollywood Heights, The Ropes) is 47. Actress Gretchen Mol (Chance, Mozart in the Jungle, Boardwalk Empire, Life on Mars, Girls Club) is 46. Actor Jason Matthew Smith (Playmakers, Sons of Anarchy) is 46. Bassist Scott Devendorf of The National is 46. Actor Matthew Rhys (The Americans, Brothers and Sisters) is 44. Actress Tara Reid (Scrubs) is 43. Singer Bucky Covington (American Idol) is 41. Actor Keir O’Donnell (United States of Tara) is 40. Actress Dania Ramirez (Devious Maids, Heroes, The Sopranos) is 39. Actress Brooke Lyons (Two Broke Girls, The Affair) is 38. Actress Azura Skye (Working the Engels, Zoe Duncan Jack & Jane) is 37. Actress Jocelin Donahue (Start Up) is 37. CNBC anchor/reporter Courtney Reagan is 36. TV personality Jack Osbourne (Dancing With the Stars, The Osbournes) is 33. Vancouver-born actress Magda Apanowicz (Continuum, Caprica, Kyle XY) is 33. Model/actress Samantha Droke (Poor Paul) is 31. Vancouver-born actress/singer Jessica Lowndes (90210) is 30. Actress Akari Endo (Sharktopus vs. Pteracuda, Sharktopus vs. Whalewolf) is 29. Singer/actor Riker Lynch (Glee) is 27. Vancouver-born actress Caroline Ford (Second Sight) is 25. Actress Tara Lee (The Fall) is 24. Singer Lauren Alaina (American Idol) is 24. Actor Van Crosby (Splitting Up Together) is 16.